2017 Conrad Mazda Max5 Cup Champion! I.L. Motorsport driver András Király became the first team champion since Rudy Schilders in 2014 as the 2017 the title switched from competitor Marcel Dekker to András in the final race of the season. A dominating performance seemed to pass unrewarded after a non-championship contender made contact with the #14 I.L. 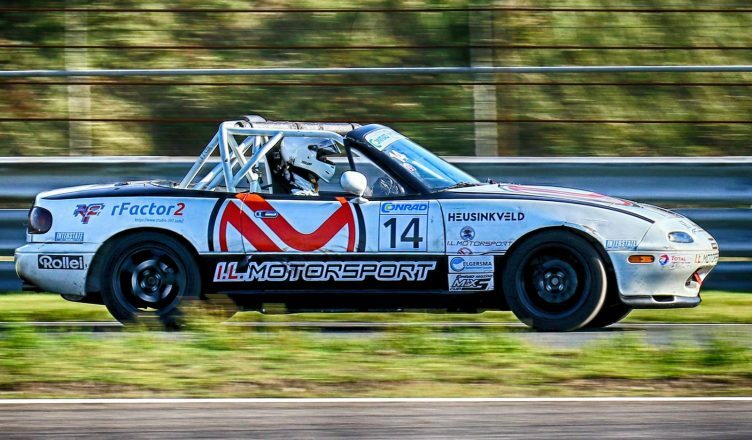 Motorsport MX-5 and took the championship decider to the green table. Days later, race officials confirmed the title to András as they stood by their original verdict, despite a protest from Dekker. One priceless point finally decided the championship after days of tension. The race day started with pole position for András, who had to finish in front of his competition in the following two races. The #27 I.L Motorsport driver Artur Turcu found himself in 23rd, as his transponder didn’t convey the correct lap time. Chris Woodger couldn’t race due to a knee injury, leaving the #14 alone at the front. Race one went according to plan, but only just. A photo finish and only 17 thousands of a second meant that András was about 40 centimeters in front of the #6 of Dekker at the finish line, fending off multiple overtaking attempts in the laps before. After careful service of the cars by head mechanic Hans Schilders, race two saw a similar image. András was defending against constant attacks from Dekker at first, but later it was one of the Lemmens cars which got involved. Every lap seemed to be a copy of the previous, with András hugging the pit wall to force any challenger to overtake on the outside of Tarzan corner. As the overtake didn’t happen, the fight became more intense with the challenger opting for some rubbin’ is racin’ tactics in order to execute the pass. Heading into the second to last corner on the last lap, this resulted in significant contact. Crossing the line in third, it seemed the title was lost for I.L Motorsport. The mood quickly changed when the results were published: the #6 received a penalty for track limits and András was the champion! The penalty was later appealed but the results were not changed. Artur fought his way back to 8th, climbing 14 places over two races. Chris Woodger finished 9th in the final standings, bagging 5 podiums in the first 10 races but was struck with late-season bad luck, after which a certain top 5 championship finish was lost. The bad luck did inspire some great performances, such as a drive from 40th to 11th over two races at Assen after mechanic Hans Schilders succeeded to change a gearbox at record speed in between races. Chris: “The 2017 season was great fun. It was certainly one of the best seasons for me in respect of the team experience. Whilst the results weren’t necessarily always those that I’d have chosen, it’s also not always about the result. Sometimes it’s about satisfaction and 2017 delivered that in spades”. Artur Turcu found himself 10th in the standings after missing the Assen event due to the birth of his daughter, born on race day! He saw steady improvement throughout the season, being able to challenge for podiums mid-way through the calendar. Looking back at the season, Rudy Schilders noted: “As a team manager and livestream host it’s been an absolute joy to work with these guys. I’m really happy to be able to use what I’ve learned over the last 10 years and help our drivers forward in the field. The I.L. 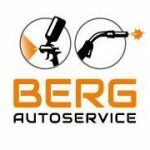 Motorsport team would like to thank Ingo Leidiger for his continued support of the team, together with Nadja.